The IntelliFAX-2940 is a laser fax that is ideal for home offices or small offices. 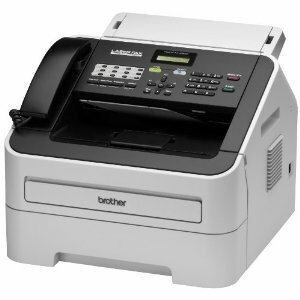 It features a 33.6K bps modem, 16MB memory and a 30-page capacity auto document feeder for faxing and copying multiple pages. This compact fax offers up to 272 broadcasting locations, 200 speed dial locations, 22 one-touch keys and can even receive fax and voice calls on the same telephone line. It has a generous paper tray capacity of 250 sheets and a USB interface for future printing capability. Also, an optional high capacity replacement toner cartridge is available to help lower your cost per page.